Each year, the “100 Outstanding Women of Broward County” event showcases and celebrates the accomplishments of women who have impacted Broward’s business, community, and philanthropic fields. The evening featured an extended social cocktail hour, silent auction and dinner. The honorees were then recognized, followed by a live auction. The audience included a “Who’s Who” of more than 1,100 leaders celebrating and honoring the 100 outstanding women. The 2013 honorees included event founder and President of the Prestige Club, Polly Wilkie; radio host Susan Wise who also served as the event MC; and Angela Loehr Chrysler, President and CEO of Team National. “The Boys & Girls Clubs of Broward County’s 100 Outstanding Women event recognizes the contributions of women in their professional, family, and philanthropic lives. These outstanding women are role models for our girls to emulate, as they pursue their own academic and career goals in the future. We are excited to honor these women for all that they have provided to the community,” said Brian Quail, CEO of the Boys & Girls Clubs of Broward County. The Event chairs were Kim Sweers of Fastboats Marine Group, Ann D’Auria of BB&T, and honorary chair Gale Butler of AutoNation. 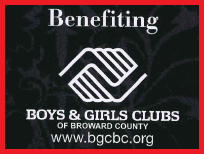 “I am truly honored to be chairing the Boys & Girls Club’s 100 Outstanding Women of Broward for 2013. It is inspiring to see women of various backgrounds that have contributed so much to our community of Broward County through career achievement, philanthropy, nonprofit advocacy, and volunteerism,” said Ann D’Auria. 2013 Hatcher, CPO Diane A. 2010, 2012, 2013 Janssen Alexandra T.